...there is a high prevalence of migraines among Gulf War veterans with Gulf War Illness, with no difference in rates between males and females. 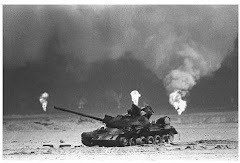 (91outcomes.com - Aug. 14, 2013) - A new study from Dr. James Baraniuk's research team at Georgetown University confirms what many veterans of the 1991 Gulf War have known all along: there is a high prevalence of migraines among Gulf War veterans with Gulf War Illness. The study found that about three out of five GWI patients in the sampled group suffer from migraines. By comparison, four out of five Chronic Fatigue Syndrome (CFS) patients reported migraines. According to the American Headache Society, prevalence of migraines in the general U.S. population is about 13%, compared with 64% of GWI patients and 82% of CFS patients in this study. It should be noted that the sample size is small (50) and it is unclear from the journal summary, below, whether there any selection or self-selection bias factors were specifically accounted for. By Rakib U. Rayhan et al. Objective: To assess the prevalence of headache subtypes in Gulf War Illness (GWI) and Chronic Fatigue Syndrome (CFS) compared to controls. 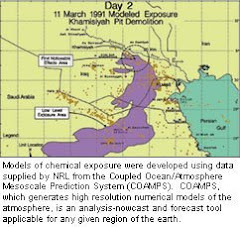 Background: Approximately, 25% of the military personnel who served in the 1990–1991 Persian Gulf War have developed GWI. Symptoms of GWI and CFS have considerable overlap, including headache complaints. Migraines are reported in CFS. The type and prevalence of headaches in GWI have not been adequately assessed. Methods: 50 GWI, 39 CFS and 45 controls had structured headache evaluations based on the 2004 International Headache Society criteria. All subjects had history and physical examinations, fatigue and symptom related questionnaires, measurements of systemic hyperalgesia (dolorimetry), and assessments for exclusionary conditions. Results: Migraines were detected in 64% of GWI (odds ratio = 11.6 [4.1–32.5]) (mean [±95% CI]) and 82% of CFS subjects (odds ratio = 22.5 [7.8–64.8]) compared to only 13% of controls. There was a predominance of females in the CFS compared to GWI and controls. However, migraine status was independent of gender in GWI and CFS groups (x2 = 2.7; P = 0.101). Measures of fatigue, pain, and other ancillary criteria were comparable between GWI and CFS subjects with and without headache. Conclusion: The high prevalence of migraine in CFS was confirmed and extended to GWI subjects. GWI and CFS may share dysfunctional central pathophysiological pathways that contribute to migraine and subjective symptoms. The high migraine prevalence warrants the inclusion of a structured headache evaluation in GWI and CFS subjects, and treatment when present.